The height of the summer is often a time to pause and reflect on high-performance building policy. How are we doing? And where are we going? Passive House Canada was formed to change Canada’s buildings through education, events, member services, and advocacy. Our fundamental mission is to make high-performance Passive House buildings the norm through improved building codes and standards. This mission differs fundamentally from advocating for widespread adoption of a proprietary standard that has a business model based on the sale of certifications and so on. Our Board of Directors takes the position that Passive House is the application of building science, which is public domain, and our role is to pursue the widespread application of that science, while recognizing the need for our services may decline as the performance level becomes the norm. It has been just over a year since members from across the country voted to form our national organization. What progress is being made in achieving our fundamental mission? Two years ago, Passive House high-performance buildings were a small niche in all parts of the country. Achieving that level of performance was widely considered to be unrealistic, unaffordable, or unnecessary. You, as our members, knew none of that was true, but we were the outliers. Canada’s first certified Passive House was completed in 2009, and Vancouver—now a leading city —did not have a Passive House building until 2015. The climate-change imperative has driven the quest for effective ways to dramatically reduce greenhouse gas emissions from buildings. Performance gaps are no longer acceptable, and more ambitious targets are required. Our members and leaders have engaged in national, provincial and local policy development—they have participated in meetings, made written submissions, and spoken at events. For my part, as CEO of Passive House Canada, such work is a primary focus of my role. Progress was slow at first, but the pace is accelerating. We have achieved significant policy milestones in the past two years. Some of these are listed below. The City of Vancouver’s early recognition of the advantages of the Passive House Standard led to the adoption of the Zero Emissions Building Plan in 2016. The plan identifies Passive House as a methodology for achieving zero emissions. Many of our members and leadership worked with city staff and elected officials in developing that plan. The initiative has generated international recognition for the city as a leader, and triggered a transformation in the mindset of industry and government. Today, Vancouver is a centre of Passive House design and construction, with projects representing all sizes and types of buildings. Although much work remains to be done, a path to market transformation now exists, with the number of projects in nearby cities also growing rapidly. The development of the B.C. Climate Leadership Plan in 2015 and 2016—along with financial support from the provincial government for our educational program—put Passive House Standard performance levels in the spotlight. The plan, released only one year ago, specified Passive House as an exemplary standard and urged residents of B.C. to take one of our courses. In 2015/2016, the Province of B.C. developed an Energy Step Code, which became law this spring. The step code provides a phased-in approach to achieving high-performance energy efficiencies.The research and other work that went into its development demonstrated the need for hard targets to be set, and the viability of high-performance buildings. The top levels of efficiency in the code incorporate some Passive House metrics. After the 2015 federal election, Canada played an important role in the Paris Agreement on Climate Change, triggering an acceleration of federal policy development. Engagement with Natural Resources Canada and the National Research Council has made it clear federal staff are working diligently to develop new high-performance building policies, standards and codes. The work is being done in collaboration with their provincial counterparts, and builds upon earlier work done at the local and provincial levels. In the fall of 2016, Passive House Canada, the North American Passive House Network, and Passive House Institute began working with the U.N. Economic Commission for Europe (which includes North America) to develop a building framework that supports the U.N.’s sustainable development goals and to assist in assessing the extent to which nations meet their commitments under the Paris agreement. That work culminated in the approval of the framework at a Ministerial meeting this June in Astana, Kazakhstan. It is anticipated the framework will be adopted by the other U.N. economic development commissions to create a global building framework. With that framework approved, funding is now being sought for an educational program, plus research and development initiatives. In December 2016, the federal government and most provinces endorsed the Pan Canadian Framework on Clean Growth and Climate Change. 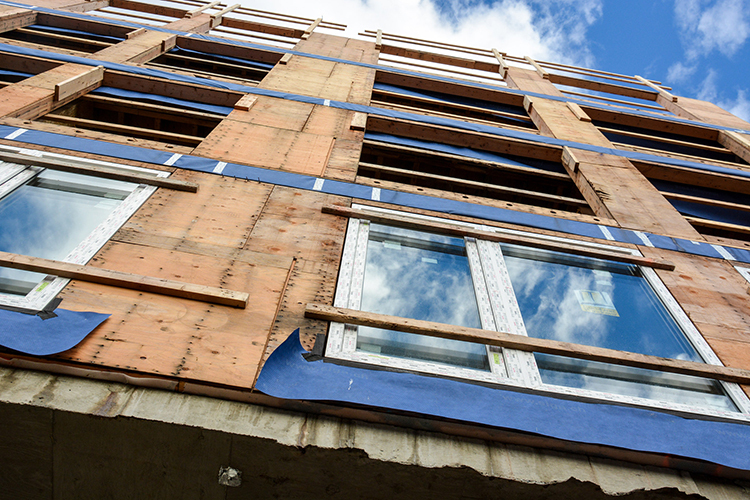 A net zero ready national building code by 2030, a retrofit code and building benchmarking and labelling are now settled policy. It was a transformative step for the entire country. The City of Toronto planning department has published its Zero Emissions Building Framework, expected to go before City council this fall. It takes several notable steps, including targeting a thermal energy intensity of 15 kW/m/a at the top level, states high efficiency in buildings can be economically advantageous, and identifies the reference building approach as having been ineffective in reducing energy use. This policy document broadly aligns with the work done in Vancouver, by the provinces of Ontario and BC, and the federal government. Natural Resources Canada is now working with its provincial counterparts to develop a national building strategy. That strategy is being put before our country’s energy ministers this month and represents the next step in policy development, building upon the Pan-Canadian Framework. The relatively short time taken to develop the national buildings strategy illustrates the priority the work is being given and results in the long hours we see NRCan staff working. The examples above, when considered in retrospect, amount to a transformation of regulatory thinking across the country (and internationally) in less than two years. It is an amazing shift in a short time—something none of us predicted when our young organization was formed. Most Canadian jurisdictions now seem comfortable pursuing Passive House levels of efficiency. They recognize the collateral benefits of high-performance (costs, comfort, health, etc.) and are focusing on efficiency as the foundation for net zero. Clear energy use–intensity targets are being set, energy benchmarking and labelling is coming, a retrofit code is coming, and the list goes on. Few jurisdictions have advanced as far and as quickly as Canada has over the past two years. We should be proud of what our country has done. Where do we go from here? As we all know, stating 15 kW/m/a in a policy document does not guarantee a Passive House building. However, it does convey the message that Passive House performance levels are affordable, realistic, and the direction building codes are going. It creates a mindset and changes attitudes—often the hardest part of any transformation. With that attitudinal shift happening, we can start to move from advocating for high performance to advising how it can be achieved. For those of you who are feeling change in your region is happening too slowly: take heart—change is coming. Not every region will change at the same time or at the same rate, nor could we, as an organization or a community of interest within the design and construction, cope if every region attempted to do so at once. However, the momentum and direction are clear, and the arguments used to maintain the status quo are increasingly easy to overcome. Take advantage of a warm summer afternoon and perhaps a refreshing beverage to reflect on what has been achieved and contemplate where we go from here.